Amélioration - Arme. Coût: 2. 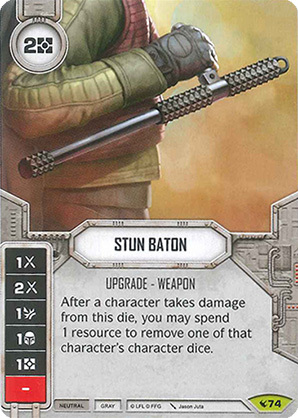 After a character takes damage from this die, you may spend 1 resource to remove one that character's character dice.